This pure, unprocessed sea salt is harvested from shallow ponds of seawater in Guérande, a coastal town in Brittany, France. The clay at the bottom of the salt ponds gives the salt its light grey color and provides rich levels of magnesium, potassium and calcium (along with 50 other trace minerals). With a coarse texture and complex flavor, it is perfect as a cooking or finishing salt, and will add brilliant flavor to any dish. 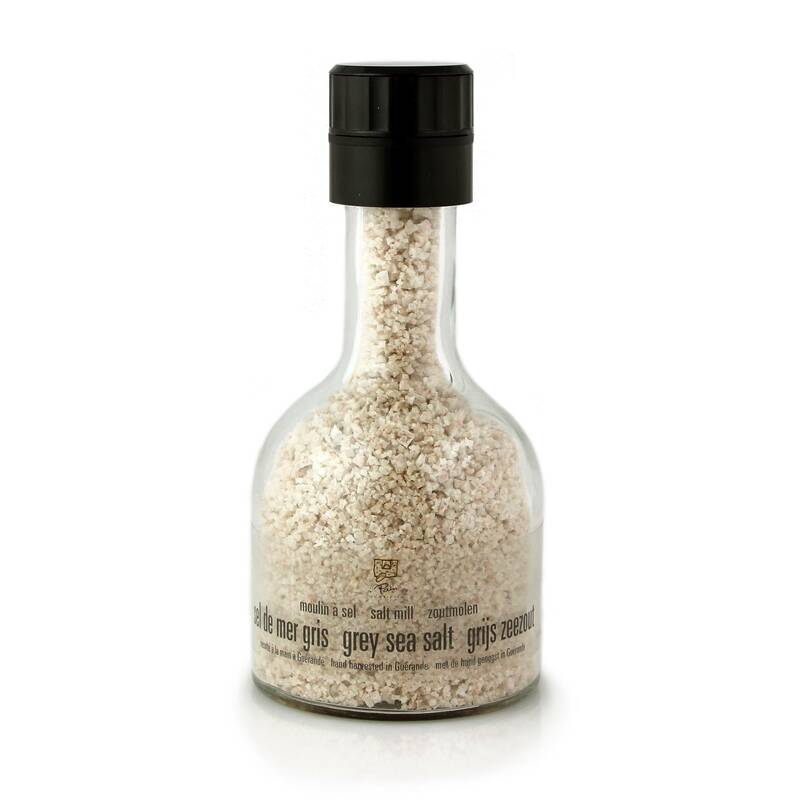 The salt is packed in a glass bottle with a grinding mechanism for convenience and fresh taste. Grey sea salt harvested by hand in Guérande. Net weight: 10 oz / 285 gr.